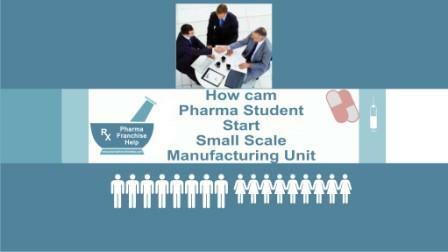 How can a B. Pharm Student Start Small Scale Manufacturing Unit? Query:I am a final year b.pharm student. I am willing to start a small scale manufacturing unit related to food or cosmetics but I don’t have a clear idea regarding it. Please help and suggest me in what areas i can startup my business in food or cosmetics and also how much time and money will all this process need.Waiting for your reply. Thank you. Response:Starting own business without any prior experience is not a good idea. You should first take some experience in food or cosmetic industry before starting own manufacturing unit.There are lot of challenges and works that can’t be learn during education, you could only be acquired by industry exposer. Money and time needed depend at your experience and knowledge. Few person start own business with negligible amount and few start with huge amount. So we will recommend to get some exposer of industry after your education and then go into business. Read our related article: What should a pharma student do just after graduation? Job or Business! Documents and procedure for Food Business read at our article: How to start Food supplement business? For cosmetic industry requirement read our article: How to start Cosmetic Industry in India? For Pharmaceutical Industry requirement read our article: How to start Pharmaceutical Company? Hope above information is helpful to you…. Students from NIPER want to start own pharma business.